Sounds like the perfect item to launch Automattic’s foray into the food industry! You’re working on a theme for that, right? Watch out WordPress, you have competition now. 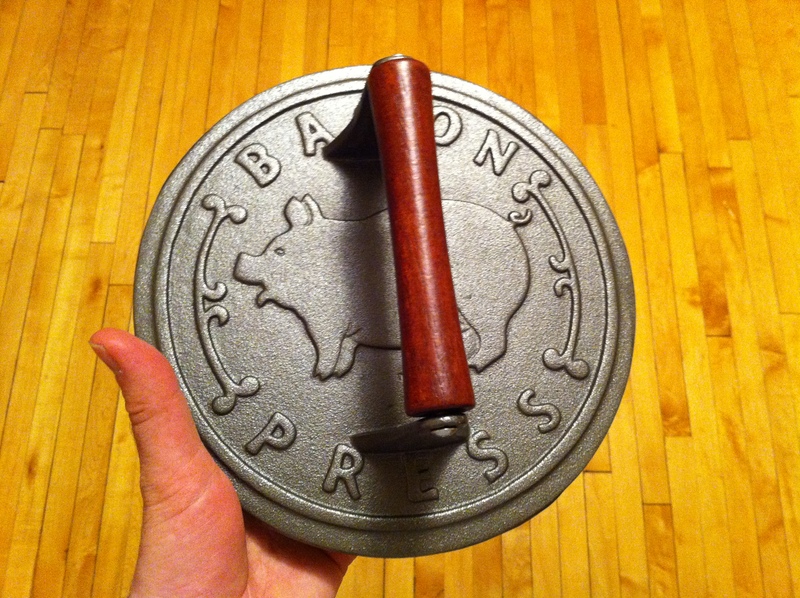 What is a bacon press? You’re looking at it. It presses bacon. Yes. It squeezes out more fat and makes your bacon crispier. Plus, you can use that bacon fat for cooking other things. BaconPress for iPhone is out. Put your phone on some raw bacon and press down as hard as you can!